There has recently been a spate of press coverage about match fixing, and the possibility that some of the matches in Brazil could be affected. I have actually struggled with whether or not to address this here on Play the Advantage. The truth is, despite some rather lurid headlines, there is absolutely no evidence that any referee associated with Brazil 2014 is in any way associated with or vulnerable to match fixing. So, what I thought I would do is address the main stories, and then talk a little about how FIFA is protecting their referees when it comes to this issue. The New York Times has an incredibly in-depth look at the issue of match fixing. It’s a very well-written and well-researched piece that pretty much rips the lid off of how this happens. The story itself, though, revolves around incidents that happened several years ago, and all mainly around the South African football association. 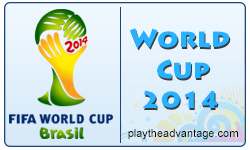 Even then, the games that were affected were friendlies and exhibition matches that were not associated with the World Cup tournament itself. There is one mention of the gamblers involved having approached a tournament referee; not only is his name not given, it’s said that he turned down significant money to fix a match. So, while I think the headline is lurid (“Fixed Soccer Matches Cast Shadow Over World Cup”) and I think the timing is detrimental to the referees, I still think it’s a fascinating read if you love football. Time’s piece isn’t quite as impressive or in-depth. Though they claim that “Match-Fixing Plagued 2010 World Cup“, they mention only a couple of matches, all in South Africa and all in exhibitions and friendlies. Time’s story looks like it basically uses the same facts as the NYT’s, so I recommend that one. BBC take a slightly different approach in what is essentially an interview with Ralf Mutschke, FIFA’s Head of Security. In the article, Mutschke admits that match fixing is a problem, that the end of the group stages (when teams have nothing to lose) are most vulnerable, and that some referees may have been approached before the tournament. The thing to keep in mind is that scenarios like the above are Mutschke’s job. He’s paid to assume the worst and do everything he can to prevent it. That doesn’t mean that match fixing will happen in the tournament; in fact, he’s one of the way’s FIFA is trying to prevent it. Security – Mutschke and his team are tasked with keeping match fixing out of Brazil, and are in touch with all of the referees. FIFA has even hosted a training course with Interpol. Secrecy – It was extremely difficult to find out the names of referees for this past week’s friendlies before the match. Just like in Champions League, where the referee’s name is announced only once they’re already en route, expect to see referee’s names held as long as possible before World Cup matches. Professionalism – One of the changes this year is that World Cup referees are expected to be professional. Since lack of funds is a major vulnerability, this should help. Match fixing is a very serious issue, and it strikes at the heart of why we all love the game. But do keep in mind that the 25 center referees and their teams chosen for the World Cup do what they do because they love the game as much as we do. There’s no indication that they will be anything but fair, and I hope we’re all fair to them in return. With the prestige of being selected for the World Cup on the line and all of them striving for the final, it would take something big to offer to sway the minds of the 33rd team of referees in Brazil.